Community at Maitripa College has its roots in the traditional Buddhist definition of sangha (gendun in Tibetan), referring to the community of companions who offer support and friendship on the spiritual path. At Maitripa College, we view the interaction and relationship with the community as a major condition for the learning that happens here on all levels. We are proud to support our community of students and friends as a loving example of regular people trying to put the values of wisdom and compassion into action. Our community is comprised of degree program students, continuing education students, longtime practitioners, local meditators, the mildly curious, and the truly devout. Our values are loving-kindness, harmony, and a good intention. The Jokhang Meditation Hall at Maitripa College offers traditional Dharma teachings, pujas, prayers, and hosts visiting lamas. The Jokhang was given its name by Maitripa College’s President and primary teacher, Yangsi Rinpoche, after the famed Jokhang temple in Lhasa, Tibet. 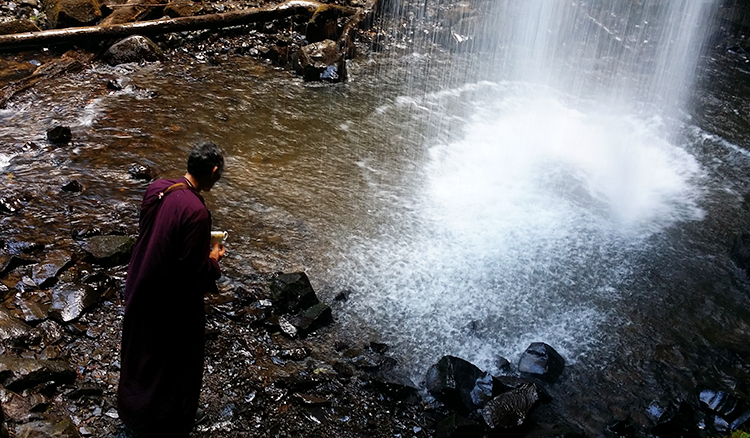 The Jokhang Program strives to operate in a spirit of openness and community, and you are welcome to join us at any time for any activity held in the Jokhang, regardless of your religious affiliation. The Jokhang is a sacred space, and we ask you to respect it. Please leave your shoes in the space provided outside the temple & dress appropriately. See the event calendar as well as links on the home page for the current schedule of Jokhang Program events. In the spirit of generosity, most of our Jokhang programs are offered to the public free of charge, although you are invited to offer a donation as an expression of your support. 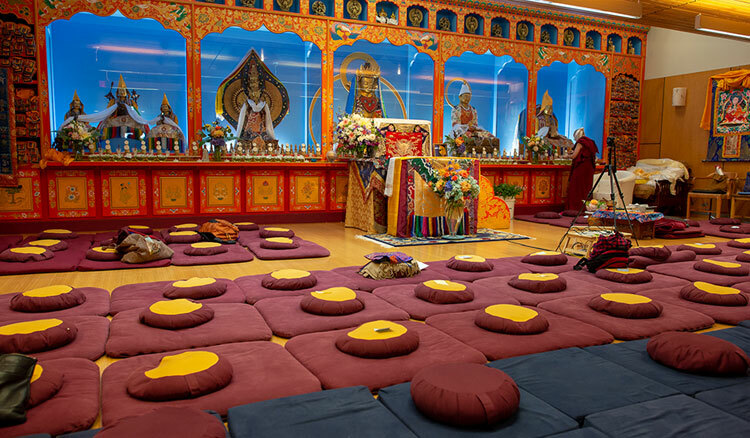 You may request prayers from the Maitripa community at any time using the form provided on this page (click here for details). We read all requests during the weekly Thursday evening public meditation events (7:30-9 on most Thursdays but please check the Calendar in case of holiday or other changes to the schedule). To learn more about any of these programs, please follow the links provided or contact us at 503-235-2477 or email us at [email protected]g with any questions. Maitripa College is approved by the American Psychological Association (APA) to offer courses for Continuing Education credit, and usually offers at least one of these courses per calendar year. Please check back often or email [email protected] for further details. Click here for more details.